The liberals who rushed to defend Kanhaiya Kumar should be more outraged by the suspension from the Maharashtra assembly of MLA Waris Pathan, for refusing to say ‘Bharat Mata ki jai’ (victory to Mother India) as a test of his patriotism. He said that as a patriot he would happily say ‘Jai Hind’. But he would not let others force words into his mouth. This makes a mockery of Rahul Gandhi’s claim to represent liberty against BJP authoritarianism. Once again, the Congress has resorted to soft Hindutva to combat the BJP’s hard Hindutva. The BJP national executive has adopted a resolution declaring it is an “obligation” for citizens to say ‘Bharat Mata ki jai’. I declare the very opposite: that citizens are obliged by the liberty enshrined in the Constitution to refuse to utter any slogan under duress. Any BJP or Congress politician insisting on forced speech is a threat to the Constitution and nation. I don’t support Pathan’s party. But, like Pathan, I too refuse to be coerced to say ‘Bharat Mata ki jai’. I don’t object to the slogan. I am happy to say ‘Bharat Mata ki jai’ in the same way that I am also happy to say ‘Deepika Padukone ki jai’ or even ‘Sunny Leone ki jai’. But this has nothing to do with proving patriotism. In my youth, I did not hear of Bharat Mata. The concept began in Bengali literature, but the BJP later made it an aggressive Hindu symbol. As a Tamilian, I see it as one more example of north Indian imperialism. In 1965, north Indians wanted to impose Hindi on Tamil Nadu in the name of nationalism. For similar reasons they now want to impose ‘Bharat Mata ki jai’. Tamilians revolted against the 1965 imposition, forcing the government to agree that the use of Hindi must be voluntary. Similarly, the BJP and Congress should now agree that any slogan like ‘Bharat Mata ki jai’ must be voluntary. During the Independence Movement, ‘Jai Hind’ was the standard slogan. Subhas Chandra Bose formed the Indian National Army to overthrow the British Raj. Its local name was basically Urdu, ‘Azad Hind Fauj’. It was not ‘Swatantra Bharat Sena’, as the RSS would have liked. Bose used Urdu, the language of a composite India, for a multi-religious army with Hindu, Muslim and Sikh commanders. One memorial celebrating the INA’s entry into British India in 1944 is substantially in Urdu. I dare Amit Shah, or anyone else in the BJP, to call Bose anti-national for using the national language of Pakistan. The Indian constitution refers to “India that is Bharat”. No mention of any Mata (mother). India was in ancient times ruled by King Bharat, and hence called Bharat varsha (land of Bharat). How did the male Bharat become a female Bharat Mata? I wonder. Bankim Chandra Chatterjee’s ‘Vande Mataram’ was the first Bengali vision of a Mother India. Artist Abanindranath Tagore was the first to portray Bharat Mata. But he was actually not a Hindu but a Brahmo. The RSS has now converted Bharat Mata into a warrior Hindu goddess. It seeks to make allegiance to Bharat Mata a test of patriotism, rejecting as insufficient Bose’s Jai Hind. 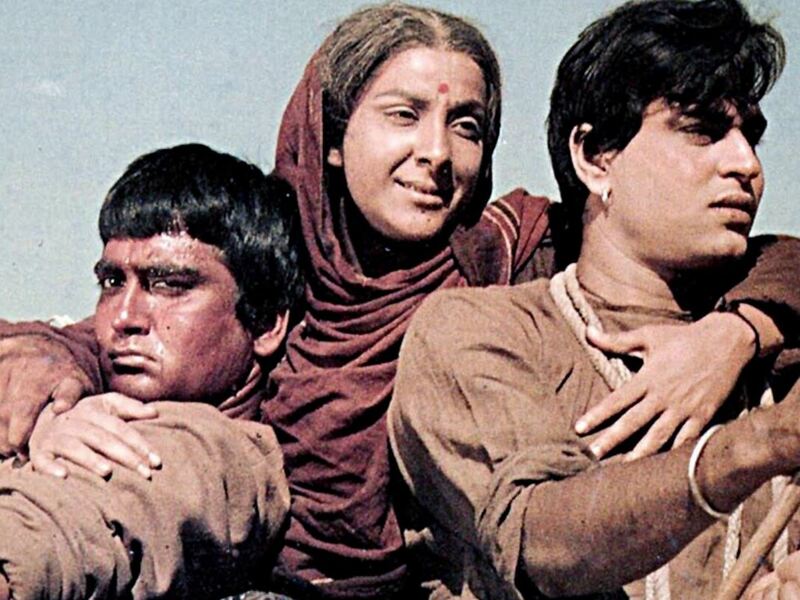 In my youth, the only Mother India people talked about was a film portraying a Hindu mother who killed her son rather than let him dishonour the village. The film was produced by Mehboob Khan, and starred a Muslim actress Nargis in the lead role, with Hindu actors playing her husband and children. Bollywood has always represented a multi-religious composite India. Will the BJP say ‘Bharat Mata ki jai’ (victory to Mother India) in memory of Nargis and Mehboob Khan? If so, I will join the chorus. U r an idiot Mr. Swaminathan. Although frm the start of this controversy i believe that no one should be forced to say a particular slogan but this article is foolish and childish. Reasons and comparisons are completely illogical. U have proved that u r brother of another idiot Manishankar Aiyar who once sd a”chaiwala” can’t become a PM. I agree that, we should not force anybody to say “Bharat Mata ki Jai” or even “Jai Hind”. > Bankim Chandra Chatterjee’s ‘Vande Mataram’ was the first Bengali vision of a Mother India. The vision of Mother India is as old as Vedas. Please refer to Bhoomi Sukta of Atharva Veda (Atharva Veda 12.1.12). It says, “Maata bhumi putro aham prithivya”. What it means is: “This Mother Earth is our common Mother and we all are sons and daughters of this Mother”. Even in Ramayana, Rama tells Lakshmana: “Janani Janmabhoomishcha Svargadapi Gareeyasi”. So, the idea of looking at our land as mother is time immemorial. That’s why we called this land as Motherland or Janmabhoomi. And in our Hindoo tradition, we recognize mother thru their son or daughter. So, we recognized this land as the mother of Bharat and hence called her Bharati and hence the name Bhaarat Maata (note that, it should not be pronouncedas “Bha”, instead it should be “Bhaa”). Hope you appreciate this subtle point and make suitable corrections.